Hey my loves! I just discovered a new brand and i'm really excited to share this with you guys. 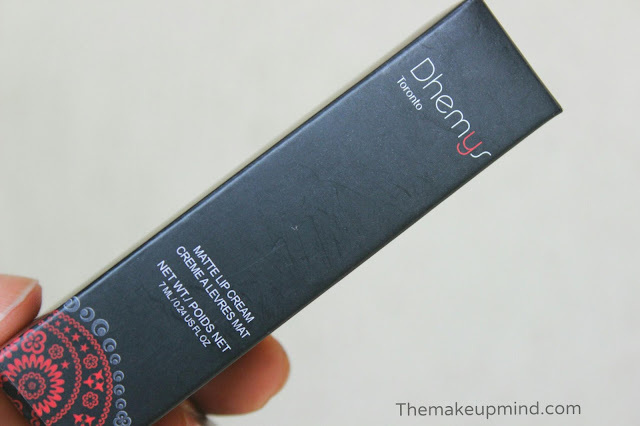 I got my hands on the Dhemys matte lip cream and this lipstick surprised me in several ways. The lip creams come in a basic black package which has a nice little design on it. The size of the product container isn't as big/long as some other liquid lipsticks I own. Like most liquid lipsticks/creams, they come with a sponge applicator. The consistency of the product is very liquid has just a little creamy texture to it. Upon application, this product is really light so if you want just a little bit of colour, then one swipe is enough. 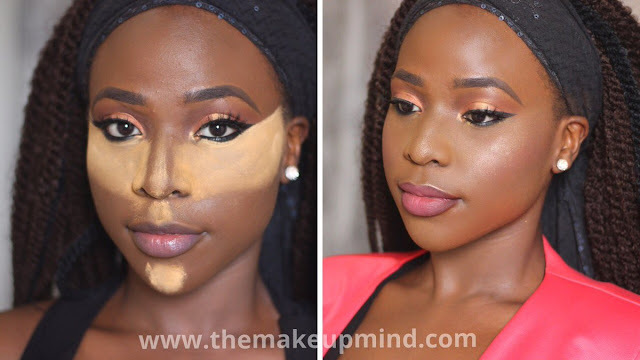 If you want more pigmentation, then you can build it up to about 3 layers. 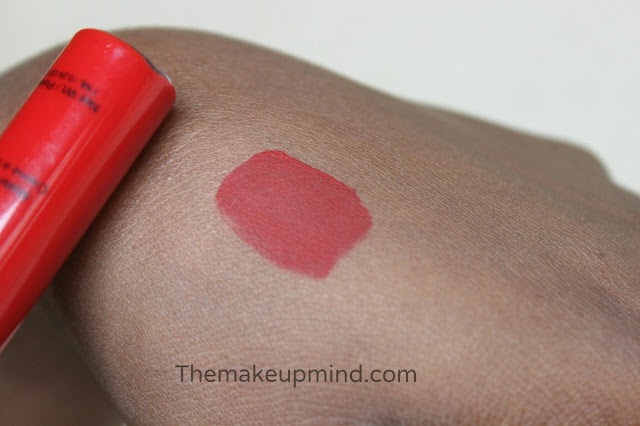 The major reason why I love this product is the fact that it is very light weight and comfortable on the lips. 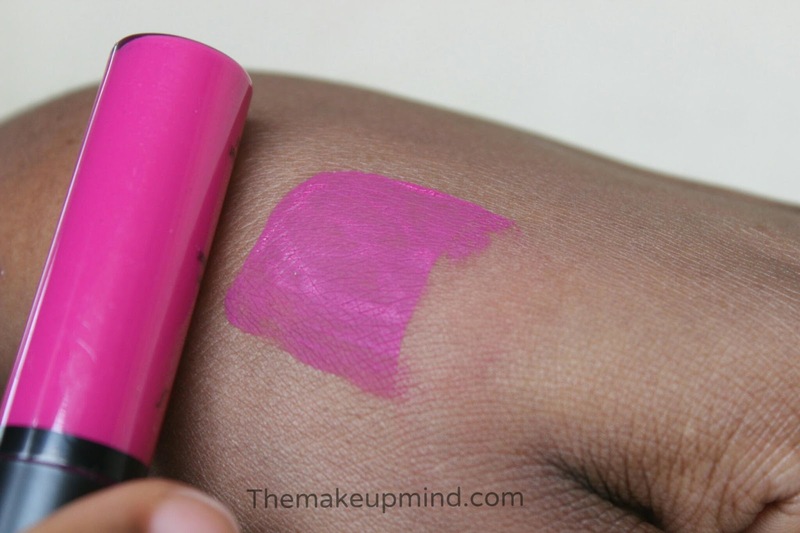 This is the only liquid lipstick I've ever tried that isn't drying at all! I never suffer the problem of dryness when I use it. 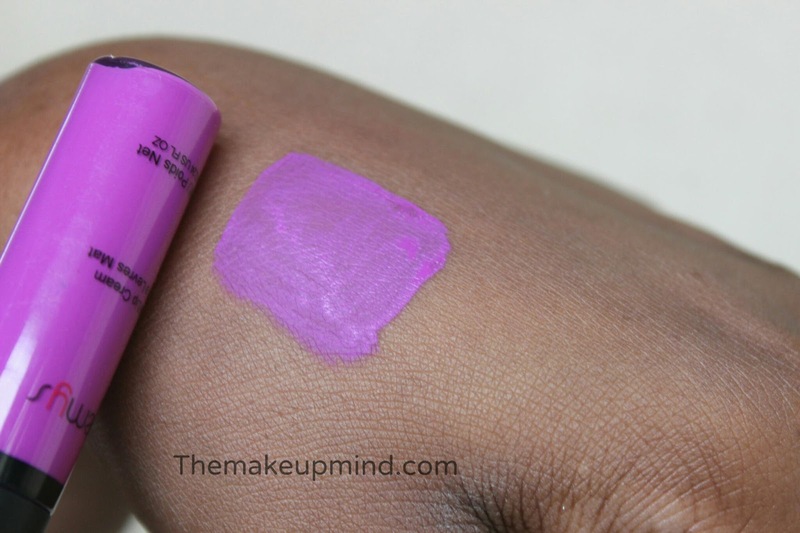 The only negative thing about this product is the fact that the pink & purple shades apply a bit streaky so you might need a little more patience when applying it. All in all, this is a very impressive product on a really good budget.